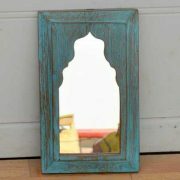 Narrow Arabian nights mirror with shelf and decorative glass panel. 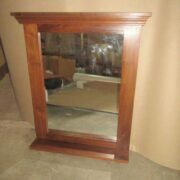 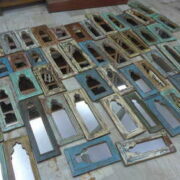 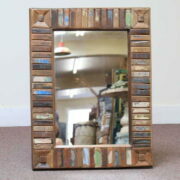 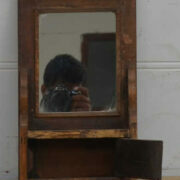 An unusual narrow orange wall mirror with small shelf, above a patterned green glass panel. 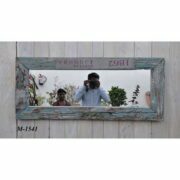 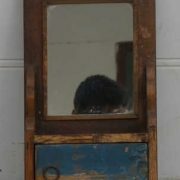 Made from reclaimed timber, this mirror has an arabian-style shaped hole for the glass, and a small shelf for putting candles, personal grooming or decorative items. 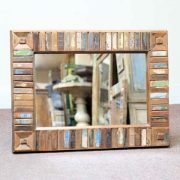 Great for bed, bath or living rooms alike.